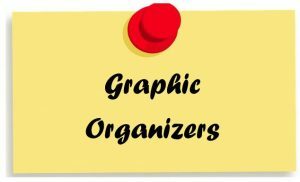 What are graphic organizers and how are they helpful? 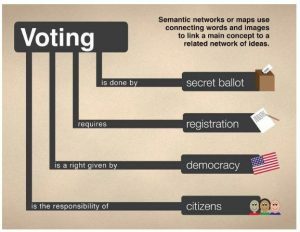 A graphic organizer is a pedagogical tool that focuses on visual symbols to express knowledge, concepts, thoughts, or ideas, and the relationships between them. Graphic organizers are also known as knowledge, concept, or story maps; as well as, a cognitive, or advance organizer, and possibly a concept diagram. The main purpose of a graphic organizer is to provide a visual aid or representation to facilitate learning and instruction by simplifying information and by stimulating thinking skills. Why graphic organizers should be used in all subjects? Graphic organizers are not for just organizing student writing. They should be utilized in all subjects. They organize and communicate information in a visual way. When applied to content areas, graphic organizers enhance the learning and comprehension of difficult concepts and ideas. Let’s take math for example, the benefits of using graphic organizers in mathematics learning are plentiful. 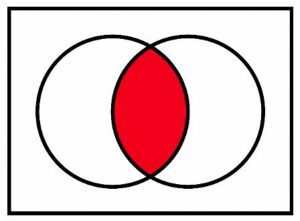 A graphic organizer such as a Venn diagram (Figure 1) is an instructional tool students can use to organize and structure mathematical information and concepts and to promote thinking about chance and probability between concepts by the considering the areas of overlap among the circles. 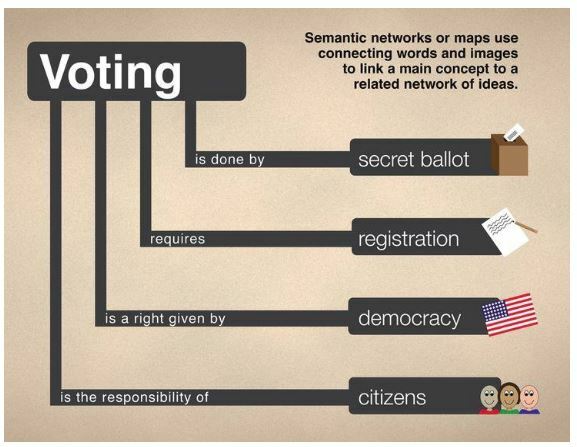 In science and social studies, graphic organizers can take many forms useful in teaching inquiry process skills. In science, descriptive feature charts, T-charts, flow charts, tree diagrams, and other semantic maps (Figure 2) such as timelines can be very useful. Lastly, in the content are of reading and language arts, graphic organizers help students construct meaning. The following learning tools can be used with any book and across all grade levels. Use them to assess your students understanding of what they are reading, observe their thinking process on what you read as a class, as a group, or independently. There are many relational organizers with helpful layouts that benefit comparison efforts. Examples of relational graphic layouts include flow charts, t-charts, grids, goal setting organizers, storyboards, and cause-and-effect webs. T-charts are often used to help students identify, understand, and remember multiple causes and effects. It is particularly suitable for taking notes based on text or videos. As an educator, you may have the task of completing Transition assessments (formal, informal or causal) for your Transition-age students as they continue working on goal-setting. Figure 3 is an example of a goal-setting graphic organizers useful in helping students consider, record, and track their goals along with their progress toward those goals. By breaking down a goal into steps, students can visualize and better understand the steps associated with achieving it. Other graphic organizers to increase student understanding may include concept mapping, KWL tables, and mind-mapping. Following or establishing order of events for students can be a challenging management skill to learn or attain. 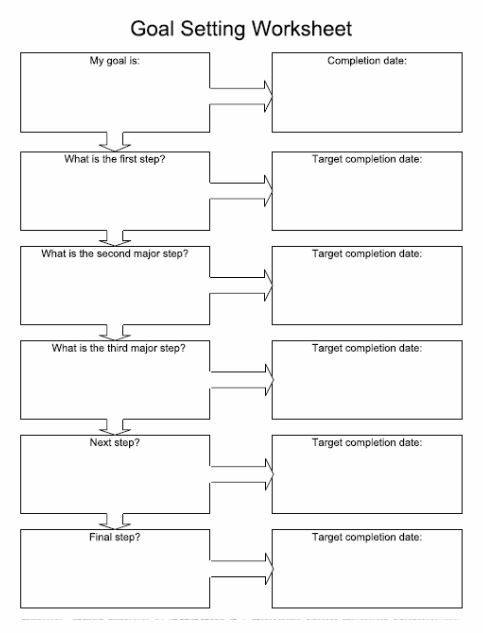 As a result, sequencing organizers like chain, ladder, or cycle organizes may be helpful for goal-setting. Concept development organizers show the specific steps of a task as well as provide space for additional detail. There are many organizers in this category including story organizers, cluster web, and circle or flow charts. 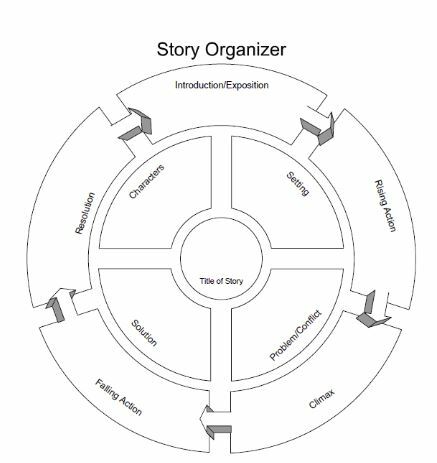 A story organizer (Figure 4) allows students to identify and visualize all parts of a book or story. It may also be used as a comprehension check, or pre-writing, or post-writing tool. Another type of concept development organizer is the cluster web graphic organizer, which is helpful for pre-writing and brainstorming. It can also be used for note taking with text. Students write their topic in the center and then add details in the surrounding circles. Students may also add smaller circles as necessary. Because students with special needs often experience challenges with processing abstract concepts, graphic organizers are a great resource and instructional tools to help students see and understand important connections. For instance, multiple review studies focusing on the use of graphic organizers concluded that the use of organizers improves student performance in the areas of retention, reading comprehension, student achievement and thinking and learning or critical thinking. In terms of retention, students were found to remember information better and can better recall it when it is represented and learned both visually and verbally. By using graphic organizers, students with and without learning disabilities improved achievement across content areas and grade levels. They also showed improvement in higher order thinking and critical thinking skills. 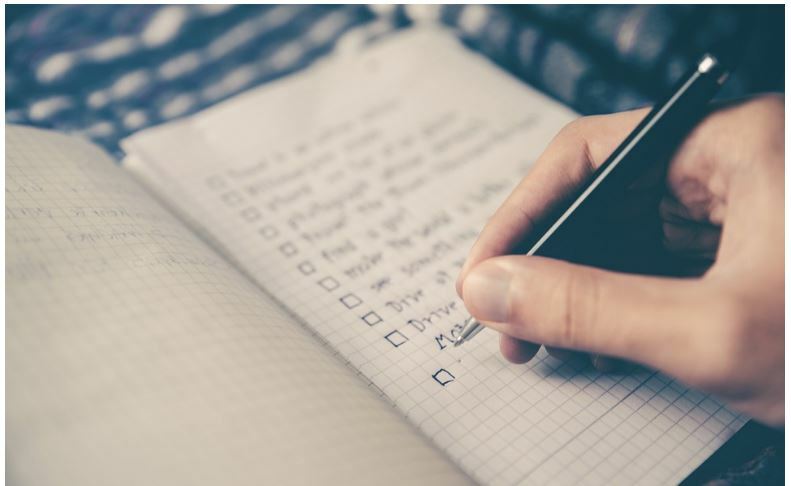 When trying to determine the most helpful organizer for your student to complete a task, it is important to consider the end result you are looking for them to accomplish. Is it to write a story, brainstorm, understand similarities and differences, or follow sequential steps? Once you are clear on the goal, you can select the most appropriate organizer to help your student. 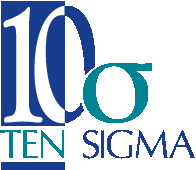 If you are interested in additional educational resources, Ten Sigma offers a variety of short videos (like the “graphic organizer” video on this page) that are part of our Transition Tuesday series. You can also visit http://tensigma.org to learn more about all of our education tools.